Welcome to Glen Shannon Music! 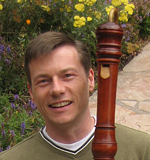 Glen Shannon composes and publishes his own original music for recorders and other instruments. TONS OF FUN for recorder players, his music has been getting your fingers moving and raising your happiness levels since 1997. Preview samples of the printed music, watch collected performance videos, listen to recordings, and get into Glen's musical space. ALERT! I will be away on vacation from April 19 through May 2, 2019; all orders will be processed after that period. SPECIAL: Buy all 8 Volumes of "ShannonDuos" and SAVE $10! 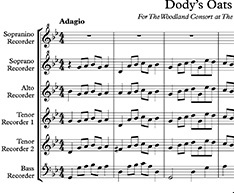 A fun sort of pop song in memory of a dear member of the recorder community at The Clearing in Ellison Bay, Wisconsin. A fun, imitative number with a fake French title, a late-medieval-style piece, and some Klezmer antics. A Country/bluegrass, a fun, easy swing, and a wailing Klezmer scene. A Latin song, an introspective easy ricercar, and an easy swing chaconne. This book has a Canonic Sonata and two closely interwoven adventures in Baroque-y, maybe jazzy style. 3 duets for Soprano and Bass: A Ragtime, a Rumba and a bipolar Klezmer number. Recorder Quartet No. 2 "Wanderlust"